The eagerly awaited follow up to the best-selling spy thriller STANDPOINT is out now! Thomas Bladen works in surveillance for a shadowy unit of the British government. When Amy Johanson is killed during a weapons test, Thomas and his partner Karl are determined to get to the bottom of it. They must protect Amy's friend Jess, the only witness they have, who plays a dangerous game of seduction and lies. Meanwhile, Thomas’s girlfriend Miranda and her family are once again put in the firing line. Can Thomas get justice for Amy, solve the mystery of Karl’s past, and decide who he can really trust? 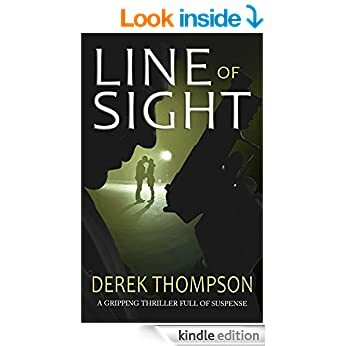 LINE OF SIGHT is the second thriller by British novelist Derek Thompson. STANDPOINT, the first book in the #1 best-selling espionage series is available now. John le Carré and Robert Harris fans will enjoy this series of thrillers. The next book in the spy thriller series is due for release late 2015.